Do you have an environmental, medical, robotic, distributed ledger, cybersecurity, educational, manufacturing, space or Internet of Things innovation? These are just some of the 24 broad topics to choose from at the National Science Foundation (NSF). The good news is the NSF is a granting agency, so they have very broad topics, including one called Other. You may find a topic fit for innovative research at NSF. The NSF Small Business Innovation Research (SBIR) and Small Business Technology Transfer (STTR) programs fund novel, high-risk research projects that address some of our nation’s challenges. These research projects must lead to a commercial product or services with demonstrated market-pull. What does novel mean? The NSF uses the words “game-changing, revolutionary and unproven” to describe the projects they fund. What does high-risk research mean? NSF describes this as a “high degree of technical risk,” that means your proposed research might fail since there are unknowns. The NSF is piloting a new program called Project Pitch, any small business interested in applying to NSF is required to submit a Project Pitch that includes a description of your technical innovation, the technical objectives, technical challenges, the market opportunity and information on your small business. This pilot process helps you and the agency determine if your project is a good fit, saving time for your small business and the agency. The scientists at NSF will review your Project Pitch and send you an invitation to submit a full proposal for up to $225,000 grant, or they will provide feedback on why your project is not a good fit. Each small business can submit two Project Pitches per open window, but only one can be under consideration at a time. If your pitch is accepted, then you have to wait to hear back on the full proposal before submitting a new or revised pitch. Small businesses are also limited to one funded project per open window. Does it sound daunting? Your local Wyoming Small Business Development Center (SBDC) Network advisor can help explore the SBIR/STTR program and the technology team at the Wyoming SBDC Network can assist in developing and polishing your project pitch. We can connect you with critical market research, help you define your business model and identify your customer niche. Click here to get started. The NSF is also offering webinars to explain the new Proposal Pitch at seedfund.nsf.gov/events. We do not advise that you wait much past April to submit a Project Pitch since it will take up to three weeks to get feedback. 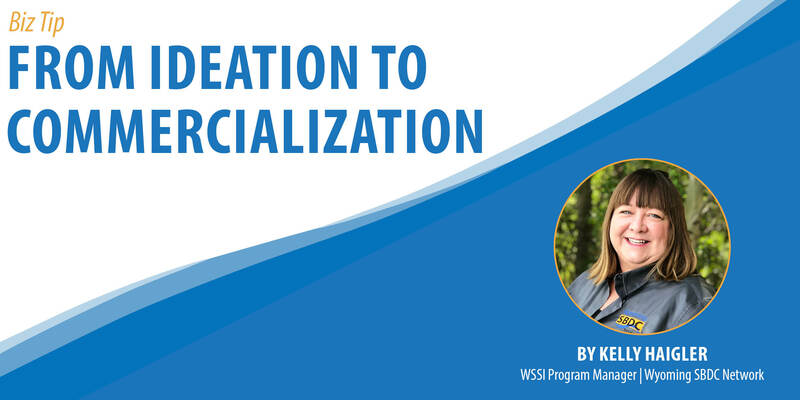 Kelly Haigler Cornish is the Program Manager for the Wyoming SBIR/STTR Initiative, she has a bachelor degree in business administration and a master’s in public administration from the University of Wyoming. She has experience in technology transfer, intellectual property, data rights, indirect cost calculations, federal SBIR and STTR grants and contracts and other small business topics related to innovation and research. Kelly loves working with existing small businesses to help them discover their innovative edge and working with startups that are taking the next big thing to market. When she’s not in the office, Kelly enjoys baking, swimming, and reading.